I have always provided my family with staple food products at home from scratch because it has always been important to me to provide our children with nutritious food that isn’t loaded with sugar and chemical additives. Some of these products, our Classic Garlic Salad Dressing in particular, were so loved by family and friends that we were convinced, after much persuasion to share them with others. 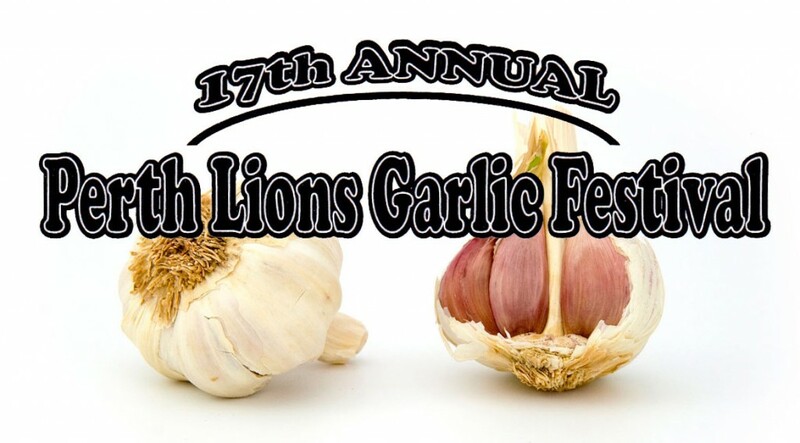 We took a great leap of faith and registered as a vendor at the Perth Garlic Festival in August 2007. This is where the story really begins. As the story evolved, our products reflect the nutritional needs of our customers, not only unsweetened – also NO gluten, preservatives, MSG, nut, meat, fish or dairy. The expansion of our product varieties is driven by our own creativity and by your comments and feed back. Let us know what you think, or tell us what flavours you would like to see. While sugar, sweeteners and wheat may have their rightful place in some foods, we feel they don’t have a place in ALL foods – which is the frustration we faced in many commercial products. It was becoming difficult to find savory foods that did not contain additional sugar or sweeteners and wheat where you would never expect it. For this reason we chose to make quality and natural goodness our top priority. None of our products contain sweeteners, gluten, MSG, preservatives, or artificial colours or flavours. At Snell House Foods our recipes are prepared fresh in small batches to provide you with the highest quality products possible. We apply our love of cooking and eating good, natural food to the development of unique flavours. Give us a try; we think you’ll agree. Salad dressing is where the business began, but not where the philosophy began. We have always strived to provide the freshest and healthiest food choices for our family and that means making many things from scratch such as cakes, cookies, soups, sauces and, of course, salad dressing. This was especially necessary 20 years ago when healthy choices were much less available in the super markets. As a result, one favourite salad dressing emerged. Which one do you think it is? Although we do make many traditional flavours at home, we decided that the flavours we marketed had to be unique or, at least, have a unique twist on the traditional that people are used to. We hope you agree. Salsas were introduced to our line of products in our second year at the Perth Garlic Festival, for which we created the ‘nowhere else to be found’ Garlic Salsa. We also offered a cilantro version for those who love this fragrant herb. Our salsas all have a bold and, if not unique, certainly definitive character. Prepared by hand and never over processed, our salsas have chunks of tomatoes and lots of fresh chopped vegetables. Whether hot or mild we will never compromise flavour, texture and taste. A hot and spicy salsa must have flavour, not just heat and a mild salsa should not taste like ketchup or sweet tomato chutney. When you taste our salsas you’ll know that something exciting has just happened to your taste buds.